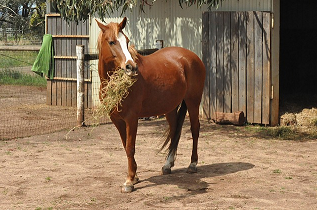 Up to 30% of adult horses will get a gastric ulcer, although they are less common in horses that have regular turnout to graze. 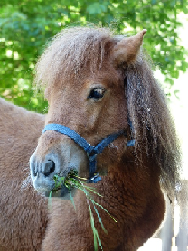 Symptoms are usually non-specific and will range from discomfort (colic), weight loss and poor appetite, to behavioural changes and diminished performance. Medications to lower stomach acidity can be effective, providing the condition is caught before complications arise. Another susceptible demographic is race horses and horses in high performance work. In fact, approximately 90% of race horses will develop a gastric ulcer at some point in their lives, with half of them displaying no symptoms at all. Endurance horses and those that event and show are also more prone than everyday riding horses, with a 40-60% prevalence in this group. In many cases gastric ulcers can be very performance limiting, with a high re-occurence rate. 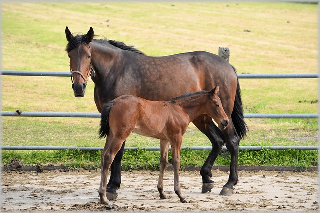 Many people believe that the formation of gastric ulcers is an issue of management, while others think some horses are just more predisposed to it than others. When it comes to performance horses, the former is probably true.